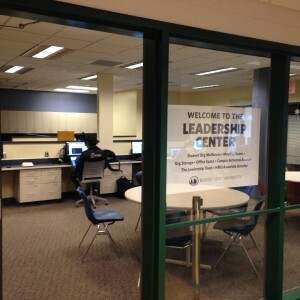 The Leadership Center is Bemidji State’s central location for student programming, club and organization resources and leadership program information. The Leadership Center is located in the Hobson Memorial Union near the Information Desk. Inside the Leadership Center are our student Leadership Team office, the Campus Activities Board office and our Associate Director of the Hobson Union, your resource for all things student activity-related. Several computers and a printer are available for student and student organization use. Feel free to stop in with questions, suggestions or just to say hi. Download the Corq app or text “Beavers” to 71441 to get events and activities on your phone.